If you are looking for a growing, junior gold miner, that makes profit, is growing it's margin, and resource base, while reducing overall costs of production, look no further than Brigus Gold. In Q3 Brigus produced a record 22,000 oz and is on track to exceed 100,000 oz producion per year for the forseeable future. Resource base has grown to over 2 million oz. In October drilling at the Black Fox Mine site hit a whopper of a result at 18.09 grams per ton over 39.60 metres, including 39.45 g/t over 10.35 metres. This, in an industry where 3g/t is considered mineable. Both if these occured at Brigus's producing Black Fox Mine. At the same time they began hitting great results at thier Grey Fox property as well. Although headquartered in Halifax Nova Scotia, Brigus mines are situated in the Timmons Ontario gold district which has been one of the most prolific gold producing regions of the world for decades. Brigus is an anomaly in the junior gold space. Why? Because it has a working gold mine, it produces gold, is profitable and it is growing. 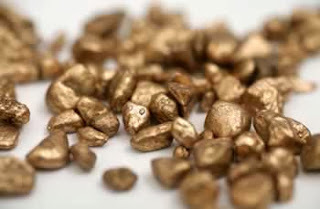 If you are in the market for a junior gold miner, you should consider Brigus Gold, before the share price catches fire, because I believe it surely will. Hope you have great results with your Retirefunds.